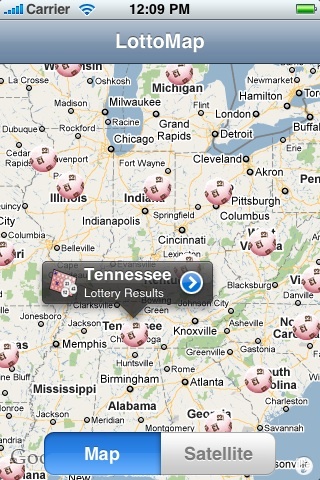 LottoMap shows the results of all US lotteries directly on a map! • Regular or Satellite map views. • Looks great on both iPhone and iPad screens!